The stash report remains unchanged for the 2nd week in a row. All my quilting efforts recently are customer quilting related. Hopefully, I will have Spiderman finished soon, and will post some pics of him when I’m done. I put a smidge too much butter and salt on this batch, but it was my first try, so I will do better next time. Other than that, it worked great, and the bites that did not have too much butter and salt were delicious! I have some butter flavored popcorn oil, and I’m wondering what would happen if I put a little of that on the kernels prior to popping. I may try that next time, also, and if it works, maybe I can just put salt on it, and no melted butter. I’ll let you know how that works. Mommy says – I don’t know if you can oil it or not…. and since I’m the one that catches the kitchen on fire on a regular basis I avoid experiments like that ROTFLOL I keep looking for something that used to be called butter buddies? It was a powdered butter flavor alternative… fat free etc that a friend of mine used when I lived in Philadelphia…. I haven’t found it yet but Missouri says magarine is illegal so maybe that stuff is too LOL I was going to send it to work with hubby for work popcorn……. So glad you loved it!!!! ssshhhh! don’t let my husband learn how to make popcorn i the microwave, the last bag I made he burned and it smelled for two days! 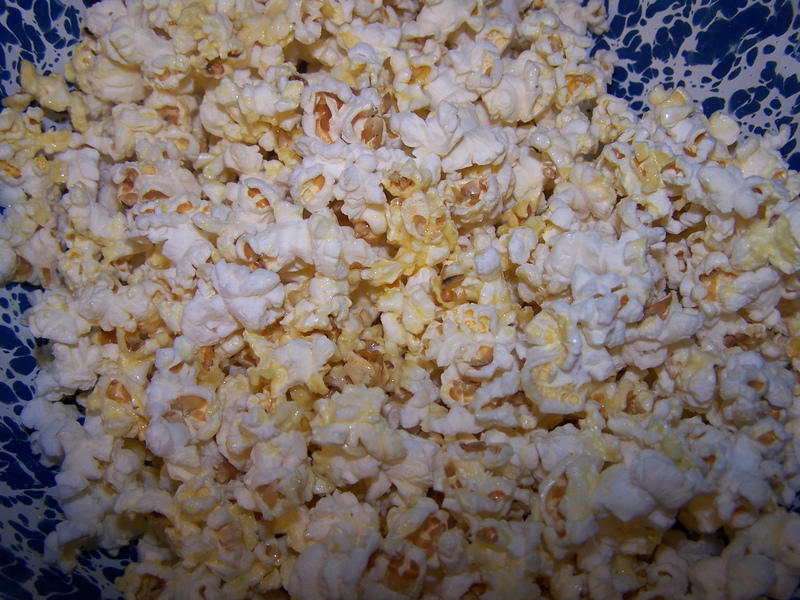 Would you share how you make the popcorn in the microwave? I avoid making it on the stove, it’s such a project. Using the microwave sounds like a much better idea! So will you share the secret? If you click on the link “Princess”, in my post, it takes you straight to her instructions for making the popcorn. I have edited my post to say that. Sorry it wasn’t very clear. Tried it, loved it! (popcorn) I think the Spiderman is coming along great.